Yashin had an average of 38 goals per season over the his last four years in Ottawa, but a 10-year contract for a 28-year-old player with whispers about his lack of dedication was ridiculous—even by New York sports standards. 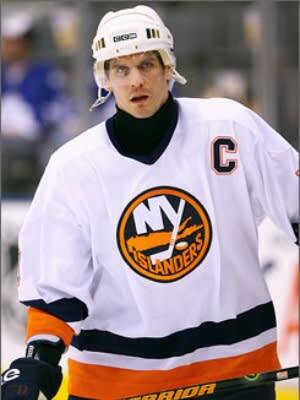 Yashin's production faltered in his years with the Islanders and he recorded a career-low in 2003-04 only scoring 15 goals that season. New York bought him out of his contract in 2007 for $17.63 million. Yashin's annual $3.2 million hit on the team's salary cap will be felt through 2015. Ouch.